IF YOUR PIG HAS INGESTED SOMETHING THEY SHOULDN'T HAVE, PLEASE CALL YOUR VET AND/OR ASPCA FOR INSTRUCTIONS ON HOW TO TREAT YOUR PIG. DO NOT INDUCE VOMITING WITHOUT CONSULTING A VET!!!! Animal poison control center (ASPCA) 1 (888) 426-4435. They are vailable 24/7 for emergency advice. There is a $65 flat fee to call ASPCA, a $49 fee to call pet poison hotline. They will talk you through the emergency, give advice such as whether to induce vomiting or not, and can also consult with your veterinarian if necessary. This call can be made by you or your veterinarian, but the fee applies to either entity. This is excellent support from the experts, and is highly recommended. This phone call has saved many pigs lives. Time is usually of the essence, so the sooner you call, the better your chances are at being able to correct the situation. Have names of meds, dosages, number of pills, type of plant, how much was ingested on hand or specifics on what your pig ate when you call. If you don't know what your pig ingested, they won't know how to help you. A toxicant is any substance that when introduced into or applied to the body can interfere with the life processes of cells or the organism. A toxin is described as a noxious or poisonous substance that is ingested, formed, or elaborated during the metabolism and growth of an animal species. Different toxicants have different treatment protocols, so it is best to leave the treatment plan up to the professionals. Time is of the essence in most cases, so the sooner you can determine there is a toxin involved and a professional involved with the care, the higher your pigs chances of recovery/survival are. Decontamination is the process of removing or neutralizing injurious agents. **Contrary to what people may think, pigs can not differentiate between what is good and what is poisonous to them. Pigs don't realize that what they're attempting to eat may be toxic to them, so please don't leave it up to them to decide. Remove things that may be poisonous to them from their reach and don't take that chance! What to do if you suspect your pet has been poisoned? The danger of hypernatremia (elevated sodium blood levels) is a definite worry when using activated charcoal as a treatment. To help you decrease the risk, consider these questions. Keep in mind, elevated sodium levels can mean serious neurological damage possibilities. Click here to read more about salt toxicity. So, the decision to use activated charcoal is best made by your veterinarian or pet poison control hotline specialist. Q: Is the exposure serious and/or life threatening? If the toxin is only going to cause mild clinical signs or signs that we generally are able to treat with medications in the hospital, then charcoal may not be necessary. If the toxin causes severe, difficult to treat signs or signs that are life-threatening, we may be more inclined to give charcoal. Q: Are there alternative treatments/antidotes? Do we have any other safe alternatives to charcoal? If emesis and/or the antidote is highly effective charcoal may not be necessary. Q: Will the charcoal provide any benefit? When the exposure occurred, how fast the toxin was absorbed, whether the toxin underwent enterohepatic recirculation – all these are questions we look at when deciding whether or not to use charcoal. And the most important question: Does the toxin even bind to charcoal? Q: Is the pet stable enough for charcoal? One of the big rules in toxicology is to treat the patient, not the toxin – a patient must be stabilized via standard methods before one even considers whether or not to give charcoal. Clinical signs such as depression, coma, seizure or loss of gag reflex are all signs that we would consider the pet a poor candidate for charcoal. Q: Is the toxin likely to lead to aspiration or does patient exhibit clinical signs that would significantly increase the risk for aspiration? There are many toxins – marijuana, baclofen and alcohol to name a few – that cause clinical signs (depression/coma, loss of gag reflex) that increase the risk for aspiration. If there is concern for aspiration, charcoal should not be given. Q: Should I use sorbitol? Judicious use of sorbitol is important. If charcoal stays in the GI tract too long it is possible it can release the toxin, thereby rendering the charcoal ineffective. Sorbitol is used to make sure charcoal is passed in a timely manner. Times to consider not using sorbitol include if a pet is dehydrated, currently having diarrhea or the toxin is likely to cause diarrhea. Otherwise, generally activated charcoal with sorbitol is recommended with the first dose (and once every 24 hours for repeated doses). Q: Might the toxin cause ileus? The longer activated charcoal sits in the GI tract, the longer it has a chance to pull fluid out of the body and into the GI tract – increasing the risk for hypernatremia. You may want to skip charcoal if the toxin is likely to cause a notable and/or prolonged ileus. Activated charcoal can be a very powerful tool in a toxicology treatment protocol, but it has some downsides. Some aren’t necessarily too serious – vomiting, dark stool, diarrhea – but others, like aspiration and hypernatremia, are more worrying. ALWAYS check with your vet before giving activated charcoal. We’ll focus here on hypernatremia from charcoal, answering some of the most common questions. Why does it happen? It appears that charcoal pulls fluid from the body into the gastrointestinal tract, resulting in an elevation of the serum sodium. Does sorbitol have anything to do with it? As a cathartic it is likely that it does, however we have seen cases of hypernatremia develop when charcoal without sorbitol is used. Does the patient’s size matter? While it may be more likely for our smaller patients to develop hypernatremia, we have seen it in all sizes of dogs – large and small. Does it matter how much I give? Definitely. Large doses do put animals at higher risk for developing hypernatremia, as well as repeating doses of charcoal. Can the toxin play a part in causing the hypernatremia? Yes. Toxins that are osmotically active (pulling fluid towards them) such as paintballs or large ingestions of sugar, candy, or chocolate will increase the risk for hypernatremia. Other toxins that can affect the sodium, such as diuretics, can increase risk as well. Food items with high sodium content (salt, baking soda) would also increase the risk. Does it matter if my patient is dehydrated? Yes. This can increase the risk for the hypernatremia to occur. When are signs visible? Generally signs are seen within four hours of charcoal administration. What does it look like? Common signs are ataxia, tremors and seizures (particularly those that don’t respond well to diazepam), blindness, increased thirst, decreased appetite, lethargy, coma, death. How can you tell it’s hypernatremia? This can be a tricky one, since there are a lot of toxins, like Bromethalin, that cause CNS signs that look like hypernatremia or vice versa. We advise checking sodium prior to giving charcoal for a baseline – or if the pet is already hypernatremic – and again within four hours if you have signs that are suspicious of hypernatremia. Remember sodium does not always have to be out of the normal range to cause signs; even a five-point jump is concerning. THE TOXICANT MATTERS! Depending on what was ingested, it may be suggested that you induce vomiting, use mineral oil or activated charcoal to help rid the body of the toxic or lessen the effects. THIS DECISION NEEDS TO BE MADE BY A PROFESSIONAL. It isn't always a good idea to induce vomiting. It isn't always a good idea to use mineral oil to reduce absorbtion and it isn't always advisable to give activated charcoal. The reason for this is because some toxins can have worse effects if they're used. So the professionals have to weigh whether the "antidote" will do more good than potential bad. Typically the veterinarian must treat the animal before the irritant/toxin has been clearly identified in emergency situations, based on the symptoms your pig may present with, that is how the vet will treat your pig. That may be supportive care or actively trying to correct the psychological function. Other methods that my be suggested? Emesis: Determined by species, length of time since ingestion & type of poison. Productive only within 3 hours of ingestion. DO NOT induce vomiting in animals with a history of cardiovascular disease, epilepsy or recent GI surgery; or those in a coma or severely depressed; or if the animal is hyperactive or has recently vomited. 3% Hydrogen Peroxide solution. Typical dose is 1 tsp per 5lbs. Usually works within 15-20 minutes. Syrup of Ipecac ( NEVER Fluid of Ipecac) - Caution, can cause cardiovascular problems. Gastric lavage- This is the use of warm water plus something (whatever they may suggest as an additive) to change the pH. This is the washing out of the stomach with sterile water or a saline solution. The procedure is performed before and after surgery to remove irritants or toxic substances. Mineral Oil- Will aid the stomach in digestion and/or reduce the absorption of the toxic agent and facilitate movement through the digestive system. Medication used to reverse/lessen the effects- Such as Narcan if prescription medications were ingested and they're sensitive to this medication or a demulcents which is a medication that is soothing or bland in nature. Colonic enema or laxatives- To evacuate a toxin from the lower gastrointestinal (GI) tract. Depending on what the toxicant is, there may be very specific treatment protocol in place. If you are not aware, there is something called salt toxicity in pigs. Most animals including pigs, who have been shown to be one of the most sensitive to salt intake, can typically tolerate larger amounts as long as there is a source of fresh water available. While it's not usually a direct result of sodium intake, salt plays a factor in this because of its natural systemic response to hold onto fluids within the body. Pigs are no different. This is typically a tragic situation when there is a small or young pig involved. The actual process in which this takes place is much different than it sounds and is actually based more on water deprivation rather than the amount of actual salt ingested. Click here to read more in depth information about water deprivation and prevention methods. Sodium is produced by the body, so there is always sodium present. It serves many purposes within the body like its effects on blood pressure, overall skin health or the sodium-potassium pump which is basically a balance of electrolytes that work together to balance water and maintain healthy nerve function. (Potassium can help neutralize the damaging effects of salt to the heart, for example.) As the pigs become dehydrated, their electrolytes become unbalanced. Within 24 to 48 hours, the neurologic system begins to be affected. Pigs will act uncoordinated and appear blind, then demonstrate a behavior called head pressing. These clinical signs are not specific to dehydration. Meningitis, inner ear infections, and some exotic (and therefore reportable to the state veterinarian) swine diseases can also appear this way. When there is limited or no fresh water available AND food or high concentrations of sodium chloride (salt) are ingested, as soon as there is water available, a pig will drink and drink and typically drink some more of it because the body sends a chemical to trigger the brain that it needs to drink water. Some known foods that are high in sodium include dog food, chicken feed and human food. But, this can also occur because of water deprivation alone, (limited or no access to water for long periods of time) usually as a result of frozen water bowls or traveling long distances with no water supply followed by large or unlimited access to water. In either situation, this can be catastrophic for a pig. When large amounts of water is consumed, after limited or no access, the excessive fluids can lead to serious neurological damage from cerebral edema (swelling in the brain). Some of these symptoms include: not eating, drinking or responding to you or any external stimuli. Some other signs you may see of acute salt toxicity/water deprivation are obviously increased thirst, constipation from lack of fluids, and sometimes excessive itchiness. Some pigs begin to stumble around, may become blind or deaf, you may see the presence of seizures, wandering aimlessly, bumping into things, or walking in circles as if he or she is confused. There is no specific treatment for a pig with a known history of ingesting large amounts of sodium other than to remove the pig from the source and hydrate slowly. Giving unlimited access to water after your pig has ingested large amounts of a sodium enriched product is what causes the swelling which, in turn, leads to the neurological issues. If you see the classic symptoms of salt poisoning, you need to get your pig to the vet as soon as possible. Sometimes its best to rehydrate using intravenous fluids and monitoring blood serum levels, while other times your vet may suggest monitoring or providing fluids in small amounts several (and by several, I mean hourly) times a day in the home setting. Either way, I would recommend your pig be seen by a professional. Correcting the imbalance doesn't happen in hours, it happens in days. Even with treatment, the mortality rate is more than 50% for pigs Its a very delicate process to manage an animal with neurological deficits/damage and most times, these effects are permanent and irreversible. Be sure your pigs play area is free from any potential pesticides or feed that may contain high amounts of sodium and always be sure there is fresh water available. In the winter months, you may want to invest in a bucket warmer or bowl warmer of some kind if your pig spends long periods of time outside and you're not able to ensure the water doesn't freeze. I have several bowls of water across my back yard for my pig and top them off or change them out altogether and give fresh water several times a day. In the summertime, water or the bowls can get hot and sometimes hot enough that it can burn the mouth and throat, so please keep water in a shaded area or place ice blocks that can slowly melt keeping the water at a desirable temperature to satisfy your pigs thirst. If your pig isn't a big water drinker, you may want to add fruit juice or flavored water drops to the water to entice your pig to drink more fluids. Ensuring your pig has a water source that is available to him/her at all times reduces the risk of this happening. We had a member of one of the pig groups (Mini Pig Info Group- https://www.facebook.com/groups/minipiginfogroup/) on Facebook whose pig suddenly began ill. This is a personal friend of mine, so I know her and also know she is knowledgeable about pigs and common problems with pigs, etc. Her pig was uninterested in eating and drinking and also started vomiting. After a day of stomach relief, the member decided to take her to the vet and blood work revealed elevated liver enzymes, she remained lethargic and not really interested in eating or drinking. Lots of info has been thrown in her direction regarding liver toxicities and potential infections, possible parasite infestations, etc. The vet decided to treat for parasites, she was given antibiotics, changed to a fresh bag of feed and everyone was still left scratching their heads….The pig hasn't been outside due to the harsh winter conditions and she hasn't gotten into anything in the house and hasn't gotten any better. Her human mom happened to sit next to her son later that week and much to her surprise witnesses one of the "do not eat" packets fall out of the bag and onto the floor. After consulting with her vet, it was determined that her 215 lb pig likely didn't eat one, but several of the “oxygen absorber” packets. Please be careful what your pig has access to, they don’t know these things are potentially harmful to them. Luckily this piggy mama discovered this as she watched her son eating from the package and literally witnessed one falling out (because they are NOT secured in the bag whatsoever) Unfortunately, this sweet pig, Sadie, passed away 61 days after a courageous battle fighting off the effects of this little packet of death she didn't know was so bad for her. Pigs cannot read, young children cannot read, dogs cannot read. Please keep this situation in mind when you buy these types of products (dehydrated meat products typically use the oxygen absorbers that are DEADLY when ingested) and be even more careful with disposal. Count how many are in the bag when you open it and count again when the bag is empty to be sure you can account for all of them, should there be more than 1. Q: Why is it labeled “do not eat”? A: Elemental iron can cause severe poisoning, even in the small amounts contained in one oxygen absorber packet. It is also very irritating to the GI tract and has direct corrosive effects. After ingestion, vomiting (with or without blood) is one of the first signs of poisoning. In fact, vomiting is such a common finding that if a dog does not vomit, it’s probable that a toxic dose was not ingested. If the dose is large enough to cause poisoning, severe metabolic acidosis, shock and hepatic toxicity can develop 1 -5 days after the exposure. At Pet Poison Helpline, the most severe cases of iron poisoning from oxygen absorbers have occurred in small dogs. If you think your animal has ingested one of these packets, get your animal to the vet. Activated charcoal is recommended so it will bind with the iron and be eliminated from the system. Batteries are everywhere in modern life. Ranging from button size to the large D cells, batteries are in our remote controls, smoke alarms, holiday ornaments, clocks and toys…and even in our pets’ toys. Batteries have become so common that we hardly give them a thought until the pig chews up the remote control. Then we become concerned: Is ingesting a battery just an annoyance…or a potentially serious problem? Most batteries, in order to increase cell life, contain potassium hydroxide, which decreases corrosion. These batteries are usually called alkaline. Potassium hydroxide, however, is itself a corrosive agent that causes ulcerations and burns in the oral cavity, especially on the tongue, in the esophagus and on the skin. Dogs are most commonly affected because they chew and puncture the battery casing, pigs would be no exception to this theory since they have the desire to taste everything. If the battery is chewed into pieces and the fluid swallowed, or if the battery case is cracked, allowing fluid to leak out, burns can occur in the mouth and esophagus resulting in severe esophagitis. If the fluid leaks onto the skin, dermal burns can occur as well as tissue liquefaction. If a pig ingests a battery, it’s important to know what kind it is and if it was ingested whole or chewed into pieces. When a battery is missing, and it is not known if the pig actually ingested it, an X ray will show if pieces of the battery are in the stomach. When ingestion is recent, the most important initial treatment is to dilute the corrosive fluid. Small quantities of milk—based on the weight of the animal—can be given every 15 minutes. Large amounts may cause diarrhea. Vomiting should not be induced without consulting a veterinarian, because if the pig vomits the corrosive fluid, the damage to his throat can be significantly increased and inducing vomiting when there is potentially corrosive agents is contraindicated. If pieces of the battery are present in the stomach, surgery may be required to remove the battery and prevent further leakage of the fluid. An intact battery, on the other hand, may obstruct the intestine, requiring surgical removal. Sometimes, if the battery is intact, a high-fiber “bulking” diet may aid in passage of the battery, but the treating veterinarian may suggest surgical removal if there is any potential for the natural passing to do any harm to the digestive tract. Pigs who develop clinical signs will require veterinary care consisting of antibiotics, pain medications, medication to protect the stomach and intestines and special diets. A veterinarian may recommend that a pig’s throat be examined endoscopically to access the damage to the esophagus. If severe scarring occurs, the pig may have difficulty eating and swallowing later on. Pigs get into everything and have been known to chew up phones, or battery operated toys. Keep your pig safe by reducing the access he/she has to these items. What do I do if my pig eats change from my purse? 1. Potential for an obstruction--pumpkin will help push things through (at least 1/4 can twice a day until change is retrieved). If you know how much she actually ate, count the money in the poop and you will know when it is not a problem. What should I do if my pig got into medications? This is a tough question. There are so many medications that treat so many different ailments, so there is no one answer for this except; these kinds of situations are best handled by a vet or professional. Animal poison control center (ASPCA) 1-888-426-4435 or pet poison control hotline at 1-855-764-7661. Either one of those services are available 24 hours a day, 7 days a week. Their advice can save your pigs life. 5. Amount of time since your pig ingested the medications or a time/timeframe in which the meds were eaten. 6. Your credit card, this service isn't free. ASPCA is a flat rate 65.00 fee for the call. Pet poison helpline is a 49.00 flat fee. 7. Any relevant symptoms. Is your pig lethargic? Pressing its head against the wall? Hyperactivity? 8. Has your pig already vomited or have you attempted to treat with anything already? And be honest with them, they're not there to judge what you have already tried, they are there to help you work through the situation. This isn't the time when you make a post on Facebook asking your friends what you should do. Some of these medications can be rather benign, but some are extremely powerful and can cause serious consequences within a few minutes after your pig ingests them. This kind of situation needs to be handled IMMEDIATELY. The faster you get treatment advice from a professional, the better your pigs chances are of recovering or surviving. NEVER induce vomiting unless directed to do so. Some medications do more damage when vomited while others need to be removed as quickly and efficiently as possible. Some medications will bind to activated charcoal and be excreted in a more natural way. Mineral Oil can prevent absorption and coat the stomach and intestines, BUT, do NOT treat on your own. Unless you are a pharmacist or work for the pet poison control, you need to seek professional advice. Some medications take effect immediately and some have delayed components that cause reactions much later, sometimes even days later. Just because your pig is acting ok right now doesn't mean your pig will be OK in an hour or two or even a day or two later. If there is any question about what may happen, call for help. Remember, pigs are persistent in their quest to find anything edible, they don't realize something might not be good for them, so unless it tastes horrible, your pig will likely sample it at the very least, but most will eat first and taste later. Keep medications for humans, plants or other pet medications in cabinets or areas that are completely inaccessible to pigs. Do not rely on cabinet locks or on a table to secure these things. Pigs can jump, the can climb (to an extent) and they are strong enough to knock small furniture around or bump it enough to knock something off a bigger table. Do not risk it, put these things up in areas your pig can't get to. Last night, there were two pigs that almost died. They broke a lock on a cabinet and got into dog medication. While locks usually work fine, please remember, if there is something in THAT cabinet that could cause harm, MOVE IT! Put it on a higher shelf. Put it in a room where the pigs do not go. Second, have basic first aid items on hand!!!! Get a box and make a emergency medical kit. Most of it is all over the counter items and having it on hand can be the difference between life and death. Go into the website (linked below) to find things you need for your basic first aid kit or emergency items you should always have on hand. Even if you only get a few at a time as some do get pricey, get them!!!!!!!!! ​To quickly find a medication on pet poison controls list, click here. Third, make sure you have a vet, have a regular vet, have a mobile vet, have an emergency vet. Know what university animal clinics are close-by. Having these things in place can prevent a lot of heartache. Nothing is worse than...I wish I would have...It's always better to be able to say...I am so glad I did! Information from a dog poison website. Each animal will process things differently and may not experience the same effects. Check with YOUR vet to see if there is any intervention needed. My pig has eaten a whole 5 POUND chocolate frog from Harry Potter land at Universal Studios (I wanted to explain why i had a 5lb chocolate frog) and besides a belly ache, she didn't suffer any ill effects from ingesting the chocolate. Granted, she was around 50lbs and more than a year old, I just wanted to list the chocolate in case it was an issue for anyone else and because so many hear that it is toxic. I haven't heard of any pig being poisoned by chocolate. Many will argue, but there is no scientific proof that any pig has suffered any reaction from chocolate. There are studies that have proven that pigs were able to digest cocoa without issue though. Chocolate is NOT a toxic substance for pigs, but more like unhealthy due to sugars and fats that it contains. I added it here because there is so much information floating around about it being toxic. However, I am not a vet, so please check with your vet before excluding or including chocolate in your pigs diet, however, there is NO evidence that supports the myth that chocolate is toxic to mini pigs. The reason why chocolate os toxic to other animals: Chocolate contains an alkaloid called “theobromine”. Theobromine is in the same family as caffeine and is a type of stimulant (they both are mythylxanines). Theobromine stimulates the central nervous system, cardiovascular system, and causes a slightly increases blood pressure. Animals, cannot metabolize theobromine as quickly as humans can (but pigs have gastrointestinal systems very similar to humans); this causes the above effects to be much more severe than is the case with humans, except pigs. They have the ability to break down this product in a timely manner. The specific notable side effects of toxic levels of theobromine in pets include: diarrhea; vomiting; increased urination; muscle twitching; excessive panting; hyperactive behavior; whining; dehydration; digestive problems; seizures; and rapid heart rate. Some of these symptoms, like the rapid heart rate, can ultimately be fatal to an animal. BUT, remember, there is currently no information indicating chocolate poses a true threat to pigs that I've been able to find. Again, with my trouble making pig....my pig busted down our crawlspace door that led under our home to get the fresh bait my exterminator placed under the house, my vet attempted to induce vomiting about 30 minutes after she ingested it without success, so I was forced to give Vitamin K injections for 21 days afterwards along with increasing her Vitamin K enriched foods (green leafy veggies). Luckily, Buttercup survived and lived another day to get into more trouble. The bruising didn't appear until about day 4 and she continued to have small bruises show up for weeks afterwards. You don't typically see any effect with the anticoagulant type immediately, but you likely would see immediate signs with the others. There is no antidote for any other than the anticoagulant type, so use no poisons around your pig, they can't read and don't know its harmful to them. The type Buttercup ate was some kind of rodent food sprinkled with poison, all she smelled was food. Please be careful! These ACRs inhibit the production of Vitamin-K dependent blood clotting factors (made in the liver), so when ingested in toxic amounts by pets, it can result internal bleeding. Thankfully, there’s an antidote for this type of mouse and rat poison: Vitamin K1, a prescription medication readily available at your veterinarian. With ACR poisoning, clinical signs don’t take affect for 3-5 days. However, left untreated, ACR poisoning can be fatal. Treatment includes decontamination, Vitamin K1 orally (typically for 30 days), blood transfusions, plasma transfusions, oxygen, and supportive care as well as increasing vitamin K enriched foods in their diet, these include the green leafy veggies like lettuce, spinach or kale. This is my most hated type of poisoning. Only a small amount can result in severe poisoning in all animals. This type of mouse and poison results in an increased amount of calcium in the body, leading to kidney failure fairly quickly. Unfortunately, this type has no antidote, and is very expensive to treat, as pets typically need to be hospitalized for 3-7 days on aggressive therapy. Treatment includes aggressive IV fluids to flush the calcium and kidney poisons out, medications to help decrease the body’s calcium level (e.g., pamidronate, calcitonin, steroids, diuretics), and frequent blood work monitoring. Treatment can also include inducing vomiting within 4 hours of ingestion and after 4 hours use activated charcoal. While this type of mouse and rat poison sounds like some ACR types (e.g., bromadiolone, brodifacoum), it’s totally unrelated to clotting and is not treated with Vitamin K. This is a mouse and rat poison doesn’t have an antidote, and works causing brain swelling (e.g., cerebral edema). Treatment includes inducing vomiting, administering activated charcoal, IV fluids, anti-seizure medication, muscle relaxants, and supportive care. Most animals don't survive an acute poisoning with this type. While this type of poison is less common, you should care, as it’s potentially poisonous to you, your family, and your veterinary staff! Phosphides are typically used to kill slightly bigger creatures like moles and gophers (and is less commonly used as an active ingredient in mouse or rat poisons). When ingested, the phosphides product a toxic gas the stomach called phosphine gas. Treatment includes not feeding your pet (no milk, bread or other “anti-poison home remedies”). That’s because if there’s food in the stomach, it actually makes the poisoning worse and results in more phosphine gas production. This same gas is poisonous to humans too, so make sure you don’t inhale the gas. In other words, if you’re driving to your veterinary clinic and your pet vomits at home or in the car, make sure to ventilate the area well (e.g., open the windows, turn on the air conditioner in the car, etc.). Likewise, when the veterinary staff induces vomiting in pets ingesting phosphides, they should do so outside or in a well-ventilated area. Treatment includes anti-vomiting medication, antacids, IV fluids, and supportive care. If you’re not scared off by mouse and rat poisons now, your pet is in trouble! When in doubt, keep all mouse and rat poisons out of reach of your family, children, and pets. If accidentally ingested, your veterinarian immediately to find out how to treat it. With aggressive treatment, the prognosis is fair to excellent, depending on what type of poison they got into. As with most poisons, the sooner you identify the poisoning, the sooner you treat it, the less problems for your pet (and the less cost to you!). As most of us know, pigs will eat things that aren't good for them and this includes feed created for other animals. You might think your pig eating the chicken feed is ok, however, it's not. Poultry feed can contain monensin which is an additive to control Coccidiosis in poultry. Poisoning can occur if your poultry feed contains this ingredient. Your pig may be found dead or showing severe neurological signs. The heart will show pale areas if a necropsy is done. There is no treatment available, so preventing access to other animal feed is key. Pigs simply cannot tolerate levels of monensin as poultry animals can. Help! My pig ate soap! Most bar soaps and face cleansers contain detergents, which, if ingested, can cause gastrointestinal irritation (including vomiting and diarrhea). If the soap also contains essential oils (such as lavender, for example), it is possible that minor central nervous system depression could occur, depending on the concentration of oils and other circumstances of exposure. Certain soaps are made with glycerin or other emollients, which can have a cathartic effect—causing loose stools or diarrhea. If gastrointestinal signs become persistent, they could lead to dehydration. If a large portion or entire bar of soap were to be ingested, it could potentially lead to obstruction in the animal’s gastrointestinal tract. Because of these concerns, we advise keeping your soaps and cleansers in an area that is not accessible to your pig. If only a couple bites are missing, that doesn't usually pose a threat unless your pig is a piglet, then that could mean trouble. Call Poison control and have the box from the bar of soap available (if you still have it or it was a new bar of soap) Be sure your pig didn't eat a piece large enough to cause a blockage, that would be the main concern. Metaldehyde (snail, slug bait) Metaldehyde is a molluscicide used to attract and kill slugs and snails. The pellets seem to attract animals who rely on their sense of smell, so likely they would be enticing to a pig on the hunt for food. Signs of acute ingestion happen within minutes. These signs include: hyper-salivation, GI cramping, severe seizures, nystagmus followed by death. 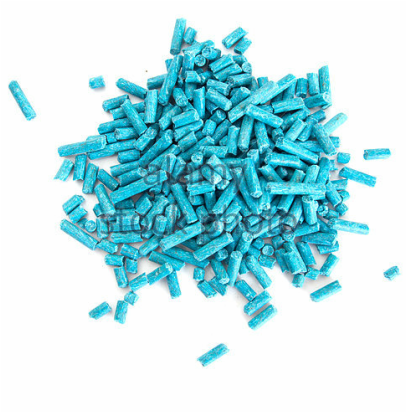 ​Some trade names include Antimilace, Antimitace, Ariotox, Cekumeta, Halizan, Limatox, Meta, Metason, Namekil, Ortho Metaldehyde 4% Bait, Slug Death, Slug Pellets, Slug-Tox, Slugit Pellets. Antifreeze is perhaps the number-one hazard to animals. It contains either methanol, propylene glycol or ethylene glycol. Ethylene glycol is most dangerous form. There are different phases after this is ingested and treatment is only effective in phase one. Clinical phase 2: 24-96 hours: CaOx crystals form in renal tubules. Renal failure begins. Less than one tablespoon of anti-freeze could be lethal to a 20-pound pig. Antifreeze smells sweet and is very deadly. If the antidote isn't given within 24 hours, the pig is likely to die. When storing your antifreeze, keep it well out of reach. Check under your car from time to time to make sure it is not leaking on to the ground. Your pig will smell the sweet smell and may lick it up. You may want to use a new, less toxic antifreeze. It's still poisonous, but not as much as the traditional kind. If you have an alternative place to park your car/truck where your pig will not be exposed to anything that may be leaking, or an area away from parking where your pig can live/be kept, that would be best to minimize the chances of any accidental leaks/spills. There are certain sugar-free gums, candies, toothpastes, mouthwashes, and baked goods which contain xylitol, a 5-carbon sugar alcohol used as a sweetener. When ingested by animals, xylitol may cause vomiting, loss of coordination, seizures, and in severe cases, liver failure. This naturally-occurring sugar substitute is also available as a granulated powder for cooking and baking. Currently dogs are the only species in which xylitol toxicosis has been reported. However, there have been research studies that have been done using pigs that show the pigs response to the Xylitol. Click here to read more about the research trial. As it stands, this has NOT been scientifically proven to cause a toxic effect in pigs, but it likely isn't good for them either. In most cases, symptoms will develop within 15 to 30 minutes of ingestion of the xylitol. However, there are some sugar-free gums that delay the onset of symptoms for up to 12 hours. There may also be cases of widespread bleeding in the animal. This can occur in the stomach, intestines, or abdomen. The animal's gums may also be affected: ecchymoses (dark red splotches on the gums) and petechiae (dark red specks on the gums). Liver failure may occur in severe cases of toxicity due to the animal's low blood sugar. A small piece of sugar-free gum (or 0.1 g/kg of xylitol) may be considered a toxic dose of xylitol, depending on the animal's weight. The ingestion of xylitol or xylitol-containing products causes a rapid release of the hormone insulin, causing a sudden decrease in the animal's blood glucose. Your veterinarian may suggest several methods to induce vomiting. However, this does not always improve the animal's condition. If the pet has low blood sugar or serum potassium, your veterinarian will place the animal on a fluid therapy regimen. The animal will also undergo frequent blood tests to assess the progression and degree of the xylitol toxicity, and to assess the animal's liver function. Check the ingredient list of all your household products which may contain xylitol (gums, candies, toothpaste, etc.). Place those items containing xylitol in locked cabinets or areas too high for your pet to access. If your pet is extremely persistent about stealing food, it is probably best not to have xylitol in your home. I was able to find an article about a ferret who was diagnosed with Xylitol toxicity, for the same reasons listed in the study involving pigs. http://www.smallanimalchannel.com/an-exotic-small-animal-vet/ferretsweet-but-toxic-xylitol. ​Sorbitol seems to be one to be on the lookout for as well. Again, it hasn't been proven to be toxic, but could potentially be. Sorbitol: Sorbitol is a plant-based sugar alcohol that’s used as a sweetener in many products, including sugar-free foods, laxatives and other medications. Due to its laxative capabilities, loose stools or diarrhea can occur if consumed in large doses. 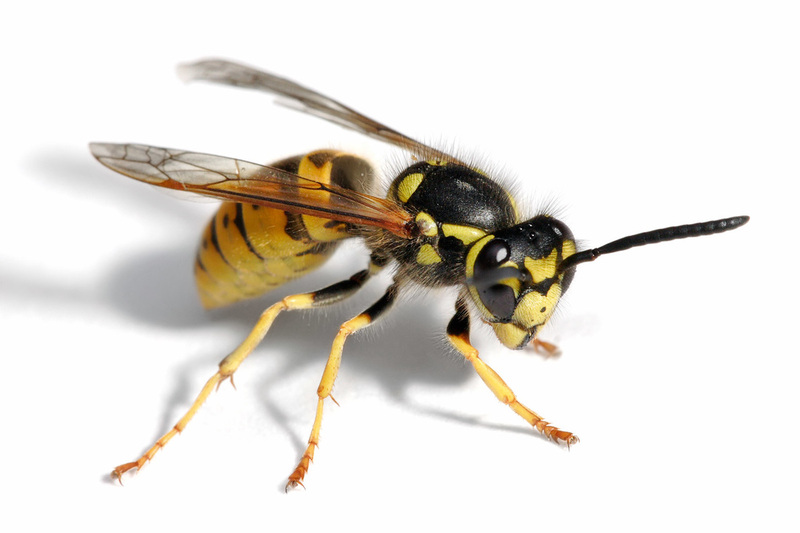 Bee (Hymenoptera) envenomation may include stings from honeybees, bumblebees, yellow jackets, hornets and wasps – and the ASPCA warns that components of venom can create cellular injury, elicit an inflammatory response, trigger histamine release and act as a possible allergen. 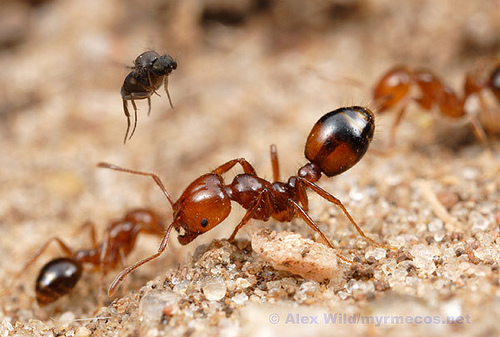 Envenomation from fire ants can cause similar signs. Do NOT let your pig feast on dead insects after using an insecticide to kill them. 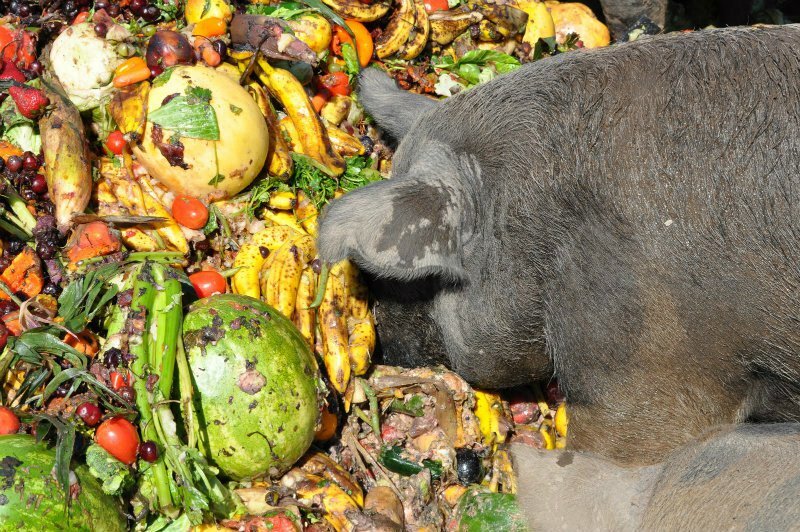 Recently, a pig ate some of the dead wasps and passed away due to insecticide poisoning. Per this young lady's vet, this happens frequently with pets in general. 3 Reaction Types: Local reactions, systemic poisonings and allergic reactions can occur with bee envenomation. Local reactions tend to be mild in nature and generally involve only a small number of stings. Wheal formation, pain, irritation and pruritus at the site of the sting are common findings. While not common, stings in the mouth or throat may lead to respiratory compromise secondary to swelling. Signs from local reactions will generally resolve within a few hours; oral antihistamines, topical corticosteroid creams, and icing may provide relief in the meantime. Removing the stinger, if still present, as well as washing the area is important. Systemic poisonings are more common with multiple stings and may result in edema, pain, vomiting, diarrhea, depression, coma, tachycardia, hypotension, tremors, seizures, rhabdomyolysis, acute renal injury, hepatopathy, coagulopathies, thrombocytopenia, hemolysis, hypoglycemia, acidosis and electrolyte disturbances. With multiple stings, a patient should be monitored in clinic for a minimum of 6 – but ideally 24 – hours. If a patient displays systemic poisoning signs he or she will likely need to be hospitalized for multiple days. As with local reactions, an attempt to remove the stinger should be made. Baseline CBC, chemistry, electrolytes and urinalysis should be obtained and these values should be monitored if clinical signs are noted. Electrocardiogram and blood pressure should also be serially monitored. Coagulation profiles may be needed in more severe cases. Treatment may include aggressive fluid therapy with monitoring urinary output, vasopressors, pain control (aggressive pain control may be warranted), antioxidants such as N acetylcysteine, diphenhydramine, anti-seizure medications, oxygen, gastroprotectants and transfusions. Allergic reactions can be mild to severe in nature. For allergic reactions, antihistamines, corticosteroids – and, in severe cases, epinephrine – may be warranted in addition to supportive care. This can be life threatening without appropriate treatment. The throat can swell so no air is able to pass through. This can be an emergency! See our page on the website regarding snake and spider bites in pigs by clicking here. Whilst ruminants are more susceptible to acorn poisoning, outdoor pigs may be affected occasionally. Young oak leaves or green acorns are the major sources and signs are seen two to three days after ingestion. These include abdominal pain and constipation followed by haemorrhagic diarrhea. The kidneys may also be affected. Again, My pig Buttercup was diagnosed with acorn toxicity just last year. Her urine was brown in color and according to the blood tests, her liver enzymes were elevated. She was removed from the acorn source and when her urine was clear again (about 2 weeks after the acorns were removed), her blood was drawn again and lab results revealed a downward trend and were on the way to returning back to normal. It's a lot easier to simply pick up the acorns than nurse a sick pig back to health. Some say acorns are not toxic to pigs, I disagree. The toxins in oak are called gallotoxins and are converted in the body to tannic acid, gallic acid and pyrogallol, all of which are very toxic to the kidney. It is the resulting kidney failure that causes the clinical signs. Typically, a significant amount of oak needs to be consumed over a period of time before clinical signs appear. Signs can develop over 2 to 14 days, or signs may be present with the animals becoming progressively worse over many weeks. There is no treatment but remove the pigs from the sources immediately. North America a variety of indigenous and exotic plants have been associated with kidney disease in animals. Most notable are the devastating livestock losses in the western alkaline desert areas of North America where plants such as greasewood (Sarcobatus vermiculatus), and halogeton (Halogeton glomeratus) that contain oxalates, are abundant. Interestingly, the most toxic of the plants that have established themselves in these semiarid areas is halogeton (Halogeton glomeratus), a plant introduced from Asia and highly adaptable to dry alkaline soils. This plant alone has caused heavy death loss in sheep in particular because of its extremely high oxalate content. In addition to oxalate containing plants, kidney failure is also commonly associated with the consumption of plants such as oak trees (Quercus spp.) that contain high levels of tannins. Habitat Some 60 species of oak grow in North America in a wide variety of habitats ranging from moist, rich soils of hard wood forests to drier mountainous areas. Description Ranging from large trees to shrubs, oaks have alternate, simple, toothed, or lobed dark green glossy leaves. The leaves may be deciduous or persistent depending on the species of oak. The plants are monoecious with the staminate flowers occurring in long catkins and the pistallate flowers occurring singly or in small clusters. The fruit, an acorn, is a nut partially enveloped by an involucre of scales. Two common species of oak growing in western North America commonly associated with livestock poisoning are scrub oak and shinnery oak. Q. gambelii (Gambels oak, scrub oak) is a shrub or small tree reaching heights of 15 to 20 feet (4.5 to 6 meters). It grows in dense stands in the dry foothills and mountain slopes up to altitudes of 9000 feet (2,743 meters). Q. havardii (Shinnery oak) is a shrub that seldom attains heights over 4 feet (1.2 meters). It is confined more to the lower elevations and sandy soils of southwestern North America. Principal Toxin The principal toxin is gallotannin, a polyhydroxphenolic combination of tannic and gallic acid. The tannins found in the leaves, bark, and acorns of oaks produce poisoning through their effect on the intestinal tract and kidneys. Gallotannins are hydrolyzed in the rumen to smaller molecular weight compounds including gallic acid, pyrogallol, and resorcinol. These compounds react with cell proteins to denature them, with resulting cell death. Most severe lesions occur in the kidneys, liver, and digestive tract. In small quantities the rumen microflora detoxify the tannins, and only when large amounts of tannic acid are eaten and bypass the rumen does poisoning occur. Goats and wild ruminants are apparently better able to detoxify tannic acid than other livestock because they have a tannin-binding protein in their saliva that neutralizes tannic acid. Goats have been used effectively to browse on oaks thereby reducing the spread of the oak and increasing the grazing capacity of the range. Oaks at any stage of growth are poisonous, but they are particularly toxic when the leaf and flower buds are just opening in the spring. Consumption of oak buds can be markedly increased in a heavy, late spring snowstorm , when cattle browse the oak that protrudes above the snow. As the leaves mature they become less toxic. Ripe acorns are less toxic than when green. Cattle sheep, horses, and pigs are susceptible to oak poisoning. Clinical Signs Signs of oak poisoning will vary according to the quantity of oak consumed. Initially affected animals stop eating, become depressed, and develop intestinal stasis. Excessive thirst and frequent urination may be observed. The feces are hard and dark initially, but a black tarry diarrhea often occurs later in the course of poisoning. Teeth grinding and a hunched back are often indicative of abdominal pain. Severe liver and kidney damage is detectable by marked elevations in serum liver enzymes, creatinine, and urea nitrogen. Icterus, red-colored urine, and dehydration are further signs encountered in oak poisoning. Animals may live for 5 to 7 days after the onset of clinical signs. Necropsy A mucoid, hemorrhagic gastroenteritis is a common finding in oak poisoning. Hemorrhages on various organs and excessive amounts of fluid in the peritoneal and pleural spaces are often present. The kidneys are usually pale swollen and covered with small hemorrhages. Histologically kidney tubular necrosis, and liver necrosis are characteristic of oak poisoning. Treatment Animals should be removed from the oak and given supportive care in the form of fresh water and good quality hay. Oral administration of a calcium hydroxide solution is helpful in neutralizing residual tannic acid in the rumen. Intravenous fluids should be given to rehydrate severely affected animals and maintain kidney function. Animals that continue to eat have a much better prognosis. Cattle that survive oak poisoning appear to have compensatory weight gains and appear to do well. Grain or pelleted rations containing 10 to 15 percent calcium hydroxide are beneficial in preventing oak poisoning if cattle have to graze pastures overgrown with oak brush. Goats are effective biological controls and may be used to browse oak for range management purposes because they are unaffected by the tannins in the oak. Some 60 species of oak grow in North America and all are poisonous. Oaks at any stage of growth are poisonous, but are particularly toxic when the leaf and flower buds are just opening in the spring. As the leaves mature they become less toxic. Ripe acorns are less toxic than when green. Cattle sheep, goats, horses and pigs are susceptible to poisoning The tannins found in the leaves, bark, and acorns of oaks produce poisoning through their effect on the intestinal tract and kidney. Tannins are potent, precipitators of cellular protein. Signs of oak poisoning will vary according to the quantity of oak consumed. Initially animals stop eating, become depressed, and develop intestinal stasis. The feces are hard and dark but a black tarry diarrhea often occurs later in the course of poisoning. The hard shells of the ripened acorns can also pose a problem to the GI tract/intestines by cutting the area as it is digested leaving the opportunity for bacteria to invade the area and potential for infection. Abdominal pain is evidenced by teeth grinding and a hunched back. Severe liver and kidney damage is detectable by marked elevations in serum liver enzymes and urea nitrogen. Jaundice, red colored urine (Dark or Amber colored urine) and dehydration are further signs encountered in oak poisoning. Animals may live for 5-7 days after the onset of clinical signs. For pigs, gardens and lawns offer a virtual smorgasbord of smells, and too often, tastes. More than a few plants, given a nibble or two, can turn your pig a little green. Most just cause an upset stomach, but some can be deadly. Make sure any that are questionable are out of reach of your pig. 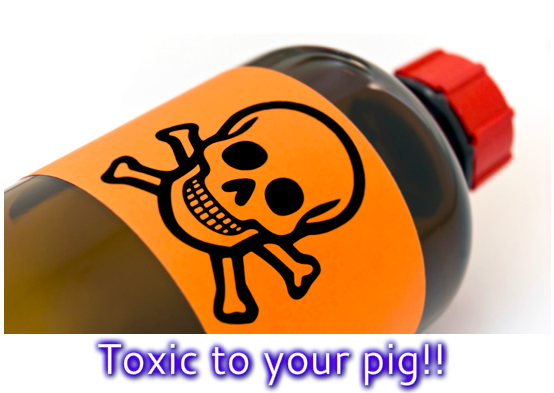 Our recent blog regarding what foods are actually toxic to pigs and why can be found by clicking here. See specific treatments for acute types of poisoning below. Moldy foods in general are NOT good to give pigs to eat. If you wouldn't eat it, don't feed it to your pig. Otherwise, pigs can pretty much eat whatever people can eat (in moderation) Human foods aren't the best diet for pigs, but if your pig grabs something off your plate that you were eating and runs away, odds are your pig will be ok assuming there are no parts of the food that can cause blockages or something similar. Apple - Leaves & seeds. **To elaborate on this, They contain amygdalin, a substance that releases cyanide when it comes into contact with digestive enzymes, but acute toxicity is rare with accidental ingestion of seeds. So don't panic if you pig eats a whole apple, the likelihood of them having a reaction is slim. It would take a fair amount of these to cause major problems in bigger pigs. Smaller pigs may be affected with less though. So to be safe, remove seeds from fruit. Apple seeds, as well as many other fruit seeds or pits, have a strong outer layer that is resistant to digestive juices. But if you chew the seeds, amygdalin could be released in the body and produce cyanide. Small amounts can be detoxified by enzymes in your body, but large amounts can be dangerous. ​Mushrooms - any that you cannot identify as safe-can cause hepatotoxic reactions. With the exception of peanuts, because peanuts have a soft shell, do NOT feed your pig nuts still in the shell. Many pigs have died because the pieces of nut shells they have swallowed have caused gastrointestinal bleeding while being swallowed or as the pieces of shell pass through the GI tract. Crate train your pig - this is the best way to prevent accidental toxicities! Pig proof your house adequately, making sure all dangerous substances (i.e., medication, chemicals, household products) are stored in secured cabinets or closets, out of reach of inquisitive hooves and snouts. Do not allow your pig to play in areas where chemicals are stored. Keep the garage floor or parking space free of oil, antifreeze, and petroleum products, even minor spills. Antifreeze is especially toxic and enticing to pigs because of its sweet taste, and should be stored away securely. Store your medication in a separate area from your pigs’ medications. This will help prevent you from giving your own medications to your pig by accident. 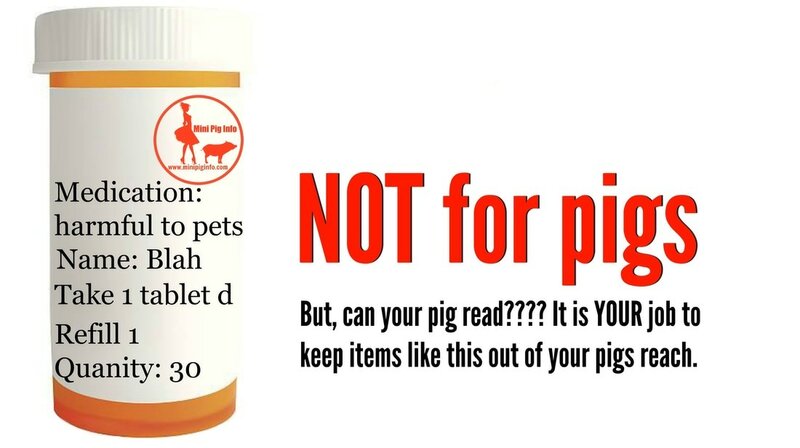 Carefully read the label of the prescription vial to make sure you’re administering the correct drug to your pig. If you keep pills in a weekly pill holder, make sure to put this in an elevated cabinet, instead of on the kitchen counter. Pigs view these as plastic chew toys (they even rattle inside with all those pills! ), and can easily chew through this. Do not store your pills in a plastic storage bag (i.e., Ziploc) -- these can easily be chewed through, exposing your pig to many medications all at once. Be sure that carbon monoxide detectors are operational and have fresh batteries every 6 months. Check your property often for the presence of plants that may pose a threat to your pig. If there is a question as to whether or not a plant is dangerous to your pig, don't plant it, or remove it. It's not worth the risk. If you are determined to grow these plants, then be sure they will be located in an area where livestock cannot get to them. Use secure fencing to ensure your pig can't get to these types of plants/flowers. In addition, some plants have pollen that can contaminate water and other resources. This exposure can be fatal to sensitive animals without you even realizing where the problem came from. Therefore, you may want to isolate these plants in a greenhouse or take other measures to prevent these plants from coming into contact with your pigs. Information regarding the biology of soil potentially in your yard. 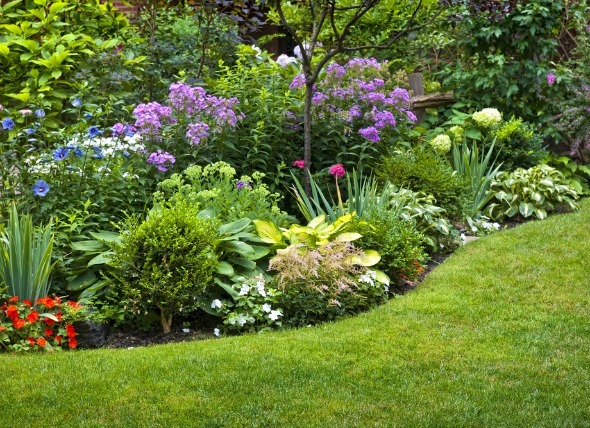 See the downloadable files above for plants known to cause toxic reactions. 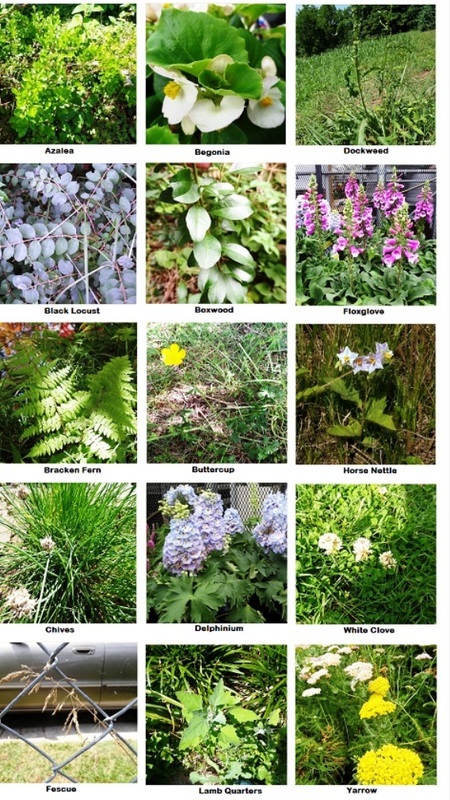 A small sampling of plants that pigs should not eat. 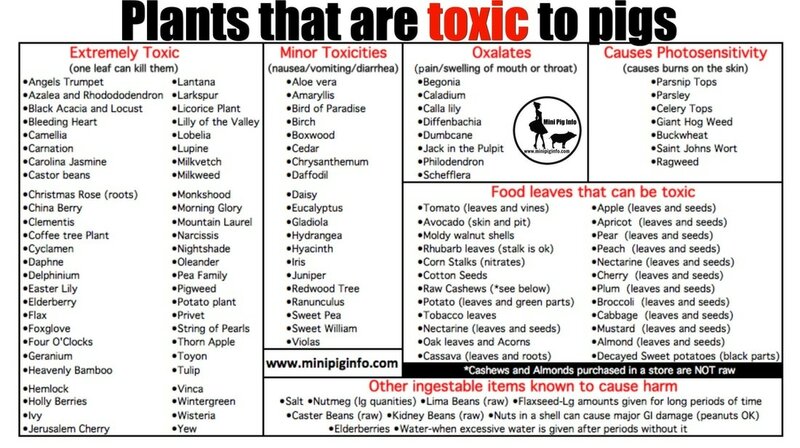 Please continue to the next page of the website for more specific information about toxic plants. Click here to read that page.